27 Oct What Do You Want In Your Master Closet? 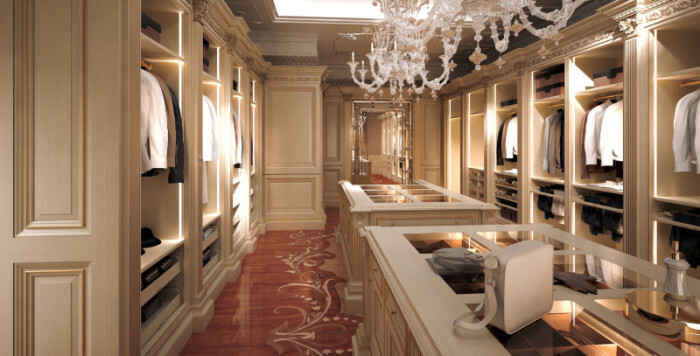 So you’ve come to the decision that you want a brand new Master closet in your home. Great! As you know, there are a lot decisions that you’re going to have to make to not only make this a beautiful place to do various activities in but also make it spatially extremely practical and efficient. First off, let’s figure out what sort of activities you want to do in your closet space. If this is a walk-in configuration, you should have some room to accomplish lots of different tasks. Okay, do you want to have it a show piece and display your beautiful clothes and accessories OR maybe you want it a more hands-on type space where you would iron clothes, have a seating area to watch the morning news. Another thought, a dressing island so you can lay out your clothes the night before for the up-coming busy day or special event. Of course, a valet rod to hang your clothes on so you can mix and match would be extremely helpful as well. A full-size mirror, which folds away hidden normally, is an asset not to be missed so you can check which looks appeal to you most. Do you want to do ironing in your closet? A fold-out ironing board is extremely helpful whether you’re erasing that odd crease or doing a multitude of ironing duties. I know a lot of people even have a small TV in their walk-in closet as they dress themselves in the morning to keep upto date and on time as well. Ambient music is also helpful in making your time in the closet creative and pleasurable. Getting down to actually creating your closet space, there are a few things to keep in mind now that you know what activities you are going to be doing there. How do you like your clothes stored? Do you fold your pants to hang over a hanger or do you like to use a clamp hanger to store them vertically. Sweaters are also a consideration since some people to fold them and others like them on a hanger. Closet habits are very important when designing your closet. in the closet and for the actual hanging area, LED’s offer superior lighting for great longevity in the form of individual puck lighting or rope-like lighting. Sometimes a major focal point in the form of a chandelier or funky light in the middle of the closet shows not only shows your taste and design savvy. As always, we have said that your best asset for a closet is to use your vertical space judiciously. Double-hanging is the most efficient manner to store jackets and shirts. Not only do they store 100% more of your clothes but you have no wasted space below as with a standard closet. How do you store your shoes? 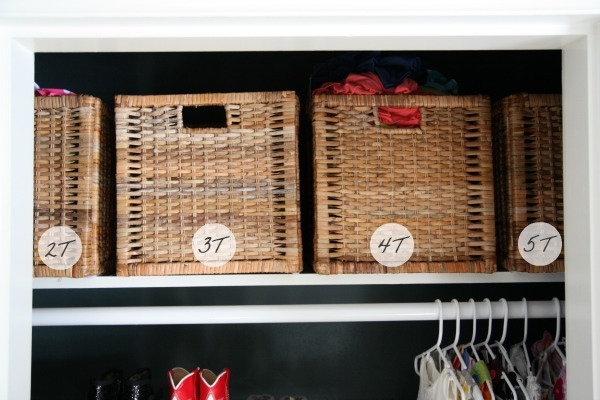 Deep shoe pull outs are a great way to store twice as many shoes in the same location. Shoe shelves are helpful as well but only allow a depth of one set of shoes as opposed to the pull-outs. Adjustable shoe shelves are great too if you have various shoe heights to contend with. On the top shelves of your closet, consider using this area as a seasonal rotational area. Store your out-of-season clothes on this hard-to-reach area. Decorative baskets can house your out-of-season clothes and make this area beautiful as opposed to using cheap plastic bins. We all love the scent of cedar. We all know cedar’s great property of dispelling unwanted insects. Keep in mind that the scent from cedar can spread to other rooms and make them smell like a cage of your favourite hamster. Consider placing a cedar lined closet on an outside wall. 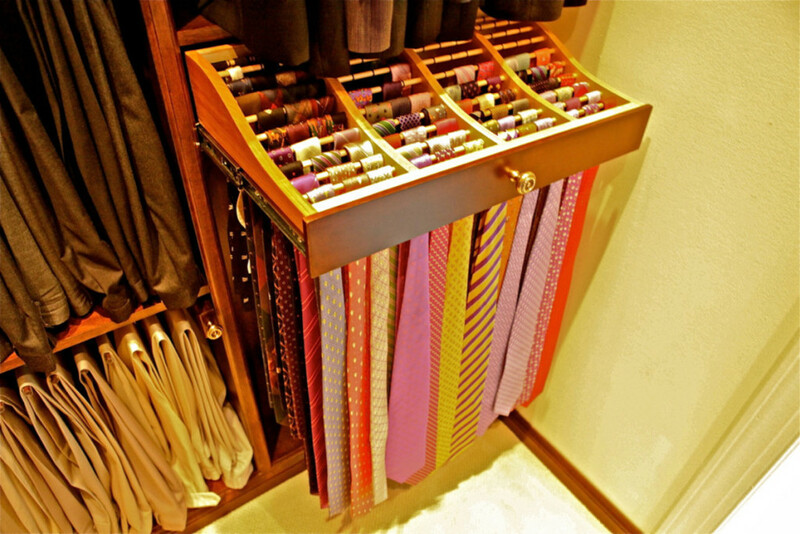 I always find it quite amazing some amateur closet designs forget where to put their ties, scarves and belts. Ask any man or woman and you can guarantee they have all or some of those items that need storage space in their closet. Ties can be stored as simply on a hanger or as elaborately on a pull-out tie rack or pull-out tray and such can be the same for scarves and belts. Although most closets are used often enough that you don’t need ventilation, it should be something to be considered if you have a small Master closet. Ventilation fans can help keep the air moving in your closet and reduce the possibility of mould and mildews. 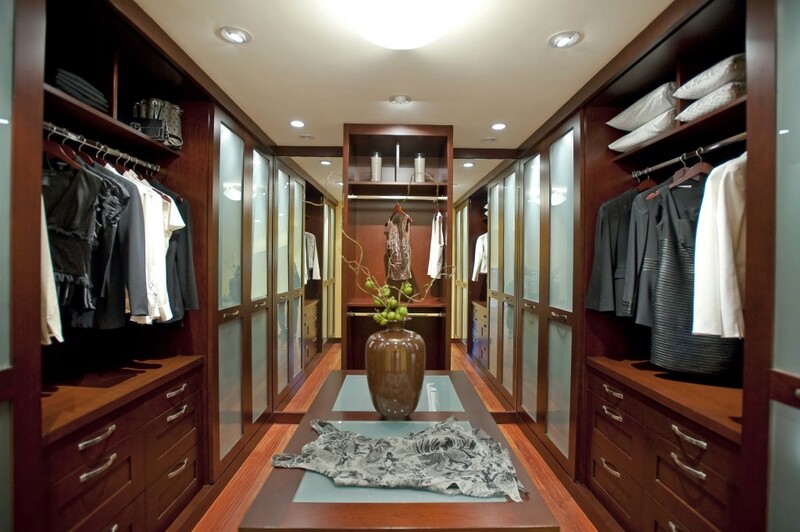 However you decide to design your Master closet, you should keep in mind what colour and style you want to work with. There are so many styles to choose from nowadays. You could have something such as a conservative look with dark colours and traditional details such as columns, fluting and capitals to a ultra sleek modern design encompassing smooth high gloss and minimal detailing. We have our favourites and a Master closet is a great place to show your style and design savy!